My TDI Payments Are Too High But I Don't Want To Lose Out On The Settlement. What Should I Do? This whole Volkswagen/Audi diesel cheating debacle has been a whirlwind for current owners trying to figure out which is the best path to take. The choice is especially tough if you are struggling to make the payments on your car—but don’t want to sell it and miss out on the restitution check. This week’s letter comes from a reader who would love to get rid of his A6 to shed off the massive monthly payment, but who knows that if he holds onto it, he’ll eventually get a big check as part of the VW 3.0-liter settlement. 1) Sell to an Audi dealer today and break even on my payoff, but lose the restitution payment. Essentially a complete bath. 2) Wait until May, collect half my restitution payment and then sell it (but to whom, and at what value?). Again, tons of uncertainty. 3) Keep it until I get full restitution (approx. $8,000-$9,000) until lord knows when (end of 2017, 2018, etc.) No way to know the timing but it’s definitely not anytime soon. So there are a few ways to look at this and we need to make some assumptions. Let’s assume full restitution will be about $9,000; therefore half the restitution would be $4,500, which you would get in May. I will also assume that your goal is to significantly reduce your monthly payment and can replace the A6 with a suitable car for half your payment or less. According to your first point, you could give the car back today and essentially wash out the loan. Then you could replace the A6 with something cheaper and more family-friendly. For the sake of comparing numbers, I’m going to say your replacement vehicle will cost $493 a month. Given the unknown timetable, it seems the full restitution option is not in the cards. Even if you get the full payout in December, and kept the A6, you would have made nine months worth of payments of $986 totaling $8,874. Within that same time frame, if you got another car now you would have spent $4,437 in car payments. In order to get the $9,000 payout you would have spent an additional $4,437, so your net loss for not holding out is $4,563. So let’s look at the other option of getting half in May. If you kept your A6 that would be four months of payments totaling $3,944. If you get something else, you would instead be paying $493 a month for four months totaling $1,972. By keeping the A6 you are paying an additional $1,972 to get a payout of $4,500, which means your net loss would only be $2,528. Again you make the point that if you sell the car in May your resale value over your loan payoff might not be favorable. Though I would say that if your resale-to-loan balance is a wash now, your depreciation should not be dramatically different four months from now, and you would be making additional payments during that time. So it’s likely that your resale value will be just as good if not better compared to your loan balance. All of that is a lot of math, but here is what it comes down to: the payments on your A6 are clearly stretching you financially now and you might get some financial benefit from them later. 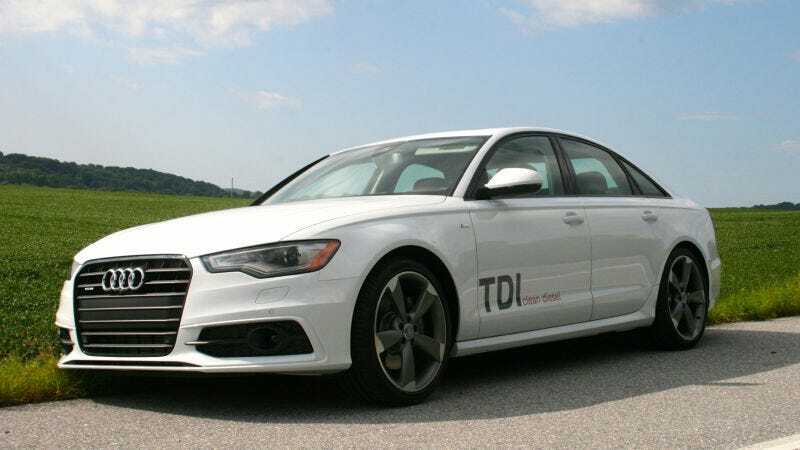 Selling the A6 TDI immediately gets you free and clear from your loan, which is still very good for a 2014 luxury car, and gives you the opportunity to get a cheaper car and your monthly budget more in check. However, the best possible path would be some kind of middle ground between immediately reducing your payment and taking advantage of some of the restitution money. I would suggest looking into refinancing your loan at a longer term. While this would normally increase your risk of being under water, it’s a relatively short-term solution bring down your payments and buy you some time until you take advantage of the partial payout.